President Donald Trump's recent comments blaming forest managers for catastrophic California wildfires have been met with outrage and ridicule from the wildland fire and forestry community. Not only were these remarks insensitive to the humanitarian crisis unfolding in California – they also reflected a muddled understanding of the interactions between wildfire and forest management. 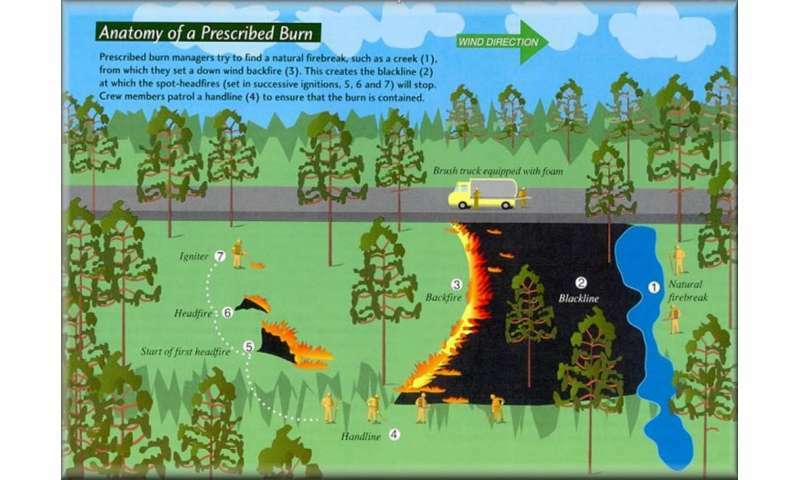 Like other natural hazards, wildfire cannot fully be prevented. However, it is not only possible but urgent to prepare for it, and to get people out of harm's way when conditions are life-threatening. It is also increasingly clear that climate change is making these kinds of fires more likely by creating longer fire seasons and hotter and drier conditions. As Toddi Steelman, a prominent fire scientist at Duke University, recently tweeted, "We are only kidding ourselves if we don't think [a disaster like the Camp Fire] could happen again tomorrow. All the conditions point to more of this in our future." Local governments also must continue to improve plans, alert systems and resources for people when it's time to evacuate. Events in California have shown that time can be extremely limited, and as with other natural disasters, poor and disadvantaged individuals who have limited resources to get to safety will often suffer most. More can be done to prepare to evacuate towns and get information to people rapidly. Many also have expressed concern about housing growth in places where homes are in close proximity to forestlands that can burn – the area known as the wildland-urban interface. However, many of the most tragic fire events in California, including this year's fires and those in Napa County in 2017, occurred in urban and suburban areas. Land use planning and improved housing codes, both of which require local initiative, have a role to play in reducing home loss, but a growing number of people will continue to live in areas with significant fire risk in the future. But thinning and prescribed fire won't make a difference in all ecosystems, and there are limitations to land management. 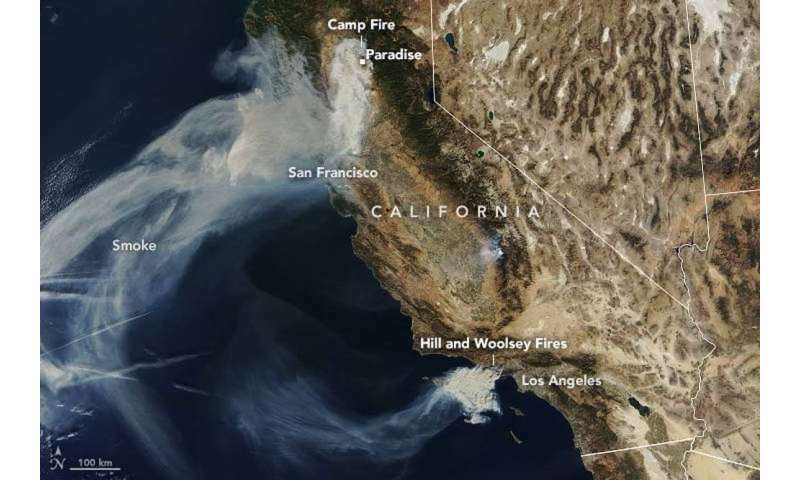 For example, the Woolsey Fire in Malibu, which now is almost fully contained but has destroyed 1,500 structures and killed three people, is in non-forested shrub lands, where these techniques are unlikely to make a difference. And in high-elevation forests, many scientists say management activities like thinning are inappropriate because fires in these forests are driven more by weather conditions than fuel loads. Also, buildings in areas with fire risk should have non-flammable exteriors (metal/ceramic roofs, brick/stucco/concrete walls, etc.) so they can't easily be set afire by blown embers. Roads need to be sufficient for an evacuation on short notice. Perhaps fire shelters?? The video is definitely worth a watch. It points out that debris (leaf litter, pine needles) near/on the house can be the material that gets ignited by embers and catches the house on fire. Even a broom left leaning against a house or furniture with flammable pillows on a porch can lead to the destruction of the house. 1) "Better forest management won't end wildfires, but it can reduce the risks..."
2) President Donald Trump's recent comments blaming forest managers for catastrophic California wildfires have been met with outrage and ridicule from the wildland fire and forestry community. Not only were these remarks insensitive to the humanitarian crisis unfolding in California – they also reflected a muddled understanding of the interactions between wildfire and forest management." "low humidity, dry vegetation, hot temperatures and high winds have created extreme fire conditions, there is little that homeowners, forest landowners or land managers can do to affect fire behavior." -Well they could remove the vegetation before it dries out couldnt they? "interior Secretary Ryan Zinke blamed "environmental radicals" for the California wildfires that have killed at least 77 people, saying they stop forest management practices that could have prevented the fires." -Forests naturally burn once in awhile. Thats how they clean themselves. In looking at pictures of these fires you might note that the treetops had little burn damage. Greenie antitrumpers are now living in walmart parking lots because they allow their brains to harbor irrational dichotomies without resolving them. Your dome houses and cabins burnt because you didnt think the forest wouldnt clean up its own garbage, and you didnt think you had to do it yourself. That may sound insensitive. But neither otto nor trump are the source of your current dilemma. "but more funding and capacity will be needed to get it done"
"Just ask California officials. Two months ago, the state legislature enacted a measure that would expedite the removal of dead trees and use "prescribed burns" to thin forests. In other words: the very same reforms that Trump is now being mocked for proposing. The September law followed a Gov. Jerry Brown executive order earlier this year that also called for "controlled fires" to improve forest health." -So now liberal politics is killing Californians and burning their homes. Just like illegals are assaulting them and draining their tax money. So we're gonna all go out and rake the forests now? coarse woody debris in forests." running through it hard to control. -Plenty of options for removing combustibles from forest floors. See this is what happens when you let your dweebish buds think for you. You hear 'rake' and you think of 1000s of inmates out there with hand rakes. We have machines to do these things now yes? The world is laughing at him and the ongoing self humiliation of America. It would take 125,000 man years per year to "rake" California's susceptible forests, and of course anyone who has ever been in a real fotest knows that they can't be "raked". Even children under 8 years old know that raking doesn't make fuel go away. But not America's dumb as dirt president. LOL! Like virtually all Republicans - and Otto... Trump is numerically illiterate, and ignorant to the core. Ya, you rake away those tree stumps and fallen logs there Otto. In 2008, Zinke stated that he "support[s] increased coal production for electrical generation. In 2013, Zinke hosted a radio show in which he engaged with and promoted fringe conspiratorial views, including birtherism (the contention that Barack Obama was not born in the United States). Zinke said on the radio show that he was not sure whether Obama was a foreign citizen and called on Obama to release his college transcripts. During the Republican primary, Zinke attracted attention for referring to Hillary Rodham Clinton as "the real enemy" and the "anti-Christ. On his first full day in office, Zinke rescinded the policy implemented on January 19, 2017, the last day of the Obama administration, by outgoing Fish and Wildlife Service (FWS) Director Daniel M. Ashe that banned the use of lead bullets and lead fishing tackle in national wildlife refuges. In December 2017, Trump signed executive proclamations that reduced Bears Ears National Monument by 85% and Grand Staircase-Escalante National Monument by almost 46%. These moves prompted several legal challenges. One day later, Zinke issued a report recommending that Trump also shrink two more national monuments—Gold Butte National Monument in Nevada and Cascade–Siskiyou National Monument in Oregon. Zinke also recommended changes to the management of six other national monuments. Like all liberals the environmentalists deny their responsibility for anything. They want the woods to remain 100% wild yet cry when they burn. Either one lets the forests burn as nature intended or you build roads and firebreaks while instituting prescribed burns. Even the Indians managed the forests with prescribed burns. People even need permits to remove brush and debris from their own land in California. This is just another example of the failures of a progressive government. These changes were welcomed by Republicans such as Congressman Rob Bishop, the chairman of the House Natural Resources Committee, but condemned by Democrats and environmentalist groups such as the Natural Resources Defense Council and Sierra Club. After The New York Times took Zinke's Interior Department to court, it won and got 25,000 documents, of which 4,500 pages were related to Zinke's multi-monument review, and which showed the administration set out to increase coal, oil and gas mining access. In March 2018, the Associated Press reported that the Interior Department spent approximately $139,000 to upgrade three sets of double-doors in Zinke's office. As of October 30, 2018, Zinke has been referred to the Justice department for investigation by his own agency's office of Inspector General for the abuse of government funds, the unnecessary use of private jets to attend political events and other kinds of political corruption. In this case and in the future it literally does and will . the fire based ecosystem you choose to live in is a BIG job. In June 2017, Zinke called for the elimination of 4,000 jobs from the Interior Department and supported the White House proposal to cut the department's budget by 13.4%. The same month, Zinke ordered 50 Interior members of the Senior Executive Service to be reassigned, "forcing many into jobs for which they had little experience and that were in different locations." The scope of the move was unusual. One reassigned Interior senior executive, scientist Joel Clement, published an op-ed in the Washington Post saying that the reassignment was retaliation against him "for speaking out publicly about the dangers that climate change poses to Alaska Native communities."] The moves prompted the Interior Departments's Office of Inspector General to launch a probe. In 2017, Zinke gave a speech to the National Petroleum Council which said that one-third of Interior Department employees were disloyal to Trump and that "I got 30 percent of the crew that's not loyal to the flag. Odd. I keep hearing environmentalists saying that these fires are natural. MR166 is lying as usual. "Coarse woody debris is not asmuch of a fire risk and in someareas, you can legally leave as muchof it as you like." -So what else dont you know? Hard to tell with professional trolls like vendicar decarian. Yeah this is how they killed off the dinosaurs.